Today I found out why your nose gets runny when it is cold. On an average day, a typical person’s nose will produce about one quart of mucus/fluid (just under one liter). Most all of this snot generally gets passed back into your throat and swallowed, often without you even really being too conscious of it. When you’re breathing cold air though, the rate of mucus production goes up significantly, causing some of that snot to come out the front of your nose, rather than back in your throat. What’s going on here is the blood supply to your nose actually increases as a response to the cold air, via tiny blood vessels in your nose dilating to increase the blood flow. This helps keep your nose warm as you breathe, as well as begins to warm the cold air you’re breathing before it enters your lungs. This increased blood flow doesn’t just help warm the air though, it also has a side effect of providing a lot more blood than normal to the glands which produce the mucus in your nose. This, in turn, causes them to start producing snot at a much higher rate than normal, which causes your nose to run when you’re breathing the cold air. Once you’re back in a warm air environment, the blood vessels in your nose will constrict and the glands that produce the mucus/liquid mix will go back to their normal rate of around four cups of snot per day. Your nose runs when you’re crying because the tears from the tear glands under your eyelids drain into your nose, where they mix with mucus to form very liquidy snot. 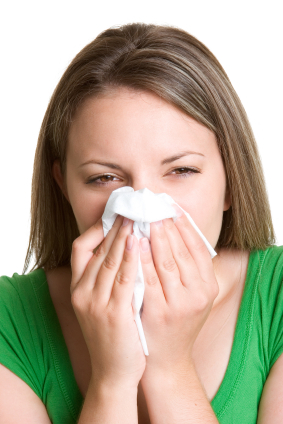 Allergies can cause your nose to run because the body reacts to them the same way it reacts to viruses and the like. Namely, by kicking the mucus glands into overdrive to try to stop as much of the allergen as possible from entering your body. As alluded to, the same type of thing is happening when you get a cold or similar sickness. The body increases mucus production rate to try to keep as many of the germs as possible out of your body. My takeaway: A typical person drinks around four cups of snot per day. My takeaway is that there’s nothing disgusting about picking your nose and then eating your snot, because you ingest most of it anyway. It’s way more disgusting to leave it on a tissue, or anywhere else outside your body. Actually, that does not sound correct at all. I’ve learned before that on a cold enviroment, your blood vessels will, in fact, constrict. This happens because then you will have a lower contact surface causing your body to loose less heat, keeping you warm. The contrary is also true. Can I have some answer about this from someone that has true knowledge about this stuff (I don’t) ? @Joe: It may not sound correct, but it is. Check the sources for more information. The blood vessels in your skin and to your extremities constrict when you get cold to reduce heat loss. One of the primary purposes of your nose however is to pre-condition the air before it gets to your more sensitive throat and lung tissues. Just try taking a breath through your mouth when it’s below freezing out and you’ll see what I mean. Yes, but why does my nose run when I’m really tired? So if I breath hot air then my nose won’t run? Because I have a cold right now and my nose iis running a marathon and it is starting to get annoying. I hate being sick but I’d be ok with just my sore throat if my nose would stop constantly leaking. Unfortunately, no. Breathing cold air through your nose is just one cause of a runny nose. 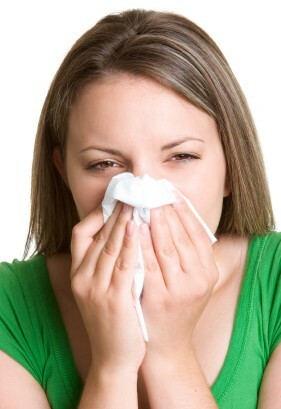 Having a cold is another cause of a runny nose. Eliminating one cause of a runny nose won’t prevent a runny nose if another cause is still in effects. Recover from your cold, keep your nose warm, and if thre is nothing else causing your runny nose it should clear up. This actually doesn’t sound correct at all. The vessels do constrict causing an increase in secretions as backwards as it sounds. Alpha agonists are activated which causes the construction & in return that constriction moves fluid out of the nose…hence, a runny nose. Some Pathophysiology & Pharmacology. What is your source on the amount of mucus produced specifically in the nose?